Dundalk's run into the Europa League group stages in 2016 was one of the most memorable journeys a League of Ireland club has enjoyed in Europe. That time, they had come close to the Champions League group stages. This season, the Lilywhites start their Europa League adventure in Estonia for a first leg against Levadia Tallinn. 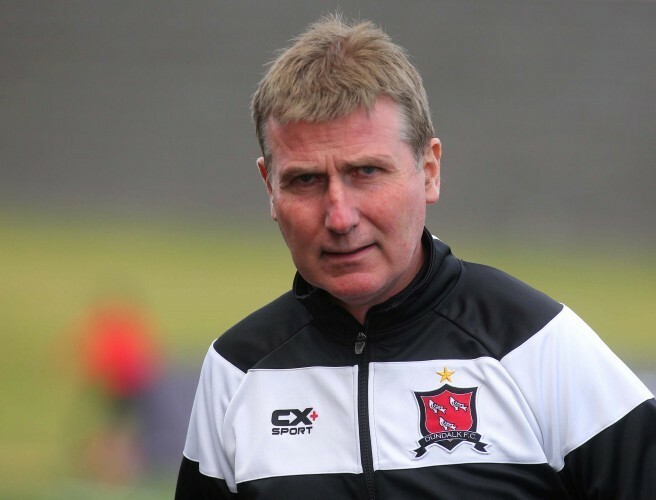 As that challenge awaits, Dundalk's three-time league winning manager Stephen Kenny joined Joe Molloy on OTB. "It's a big challenge for us this season and we've drawn Levadia in the first round and to be fair, can't look beyond it, even though the draws are made for the next round and people are speaking about the next round," he said. "You can't look beyond it because Levadia Tallinn are a completely new entity this season. They merged two top clubs and they have a new Serbian coach and brought in quite a few players, a couple of good Ukrainian players." Having scouted them extensively, Kenny adds that they are a completely different proposition to the Levadia team Cork City defeated last season and feels "they won't fear us", but is confident that the European experience picked up by his own players in recent years will stand them in great stead. Domestically, Dundalk have been in good form and sit top of the League of Ireland Premier Division. "I just think some of the younger players that we signed last year have come of age like Jamie McGrath who's still only 21. He's been terrific in midfield," he said. "Dylan Connolly's been a real threat on the right flank [and] Michael Duffy, Sean Hoare, Daniel Cleary, they're all under 23. They found time to find their feet and they're playing with confidence."